A teenage girl was killed in a shooting on Central Academy of Excellence grounds Tuesday night. KANSAS CITY, Mo. 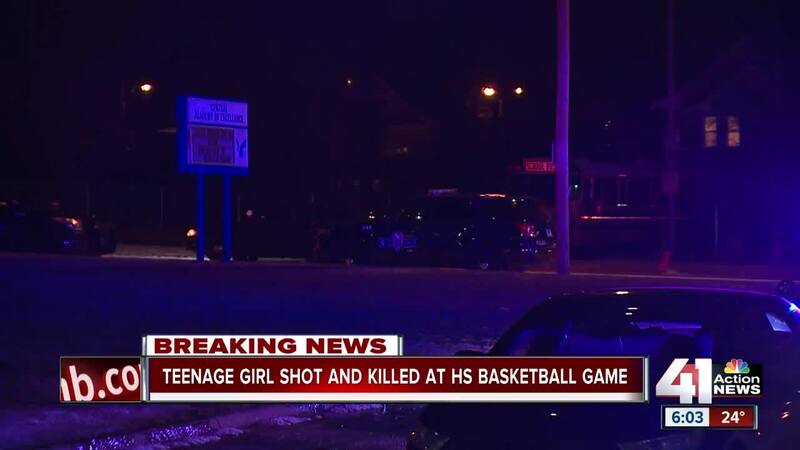 — A teenage girl was killed in a shooting on Central Academy of Excellence grounds Tuesday night. She has been identified by family as Anjanique Wright. KCPD Spokesman Darin Snapp said the suspect is also a teenage girl. She fled the scene in a gray or light blue minivan. Police said two persons of interest were taken into custody at around 2:30 p.m. Wednesday. Their names are expected to be released after charges are filed. On Wednesday, Anjanique's friends and family gathered to remember the 15-year-old with a balloon release. "She was more than friends, she was a sister to all of us. 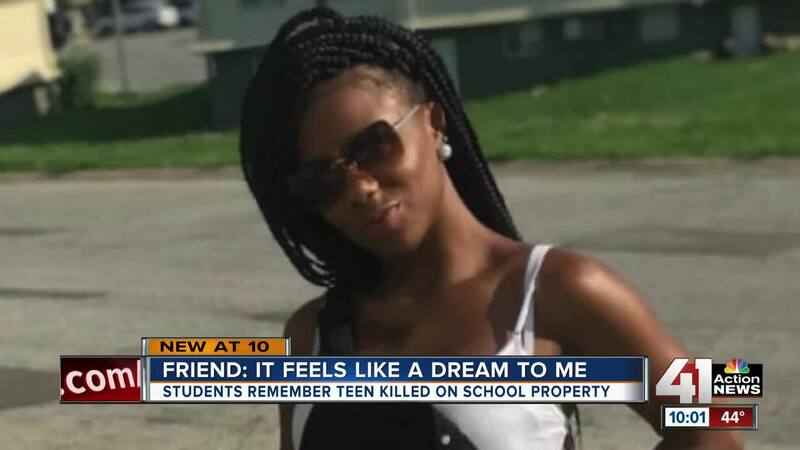 When we needed her, she was there," said Tanielle Ford. "She was so sweet and just caring for everybody. It's just not real. It just feels like a dream to me, it's not real," said Nittaya Gilbert. Gilbert and other friends had been with Anjanique the night she was shot and killed. They were all at Central Academy to watch the school's women's basketball game. Officers were called to the school on reports of a shooting around 8:15 p.m. Witnesses told them the two girls had been involved in a disturbance inside the school during the game. The suspect was taken outside by security. A few minutes later, Wright went outside. Snapp said officials believe the suspect waited for Wright to leave the school and then shot her just steps from the school's front door. Wright's sister was with her at time of the shooting. When officers arrived, they found Wright in the parking lot. She was taken to a local hospital, where she was pronounced dead. Snapp said the entire incident was captured on surveillance video.